Heston Blumenthal, well known for his culinary alchemy and unique approach to gastronomy, took over The Hinds Head in October 2004. On re-opening it was immediately recognised by the Michelin Guide and awarded a Bib Gourmand for its outstanding British Traditional fayre. Originally dating back to Tudor times, The Hinds Head, Bray has become a gastromonic destination in its own right but above all remains a local village pub offering a warm welcome, friendly service & excellent food. MEMBERS OFFER We are delighted to announce that members will receive a complimentary glass of House Champagne for all in their dining party when dining in the Restaurant (not bar food). Members Champagne benefit applies for: Lunch from Monday to Thursday, please pre-book quoting your card number. No member discount applies, maximum 4 diners per table, minimum 2 courses. 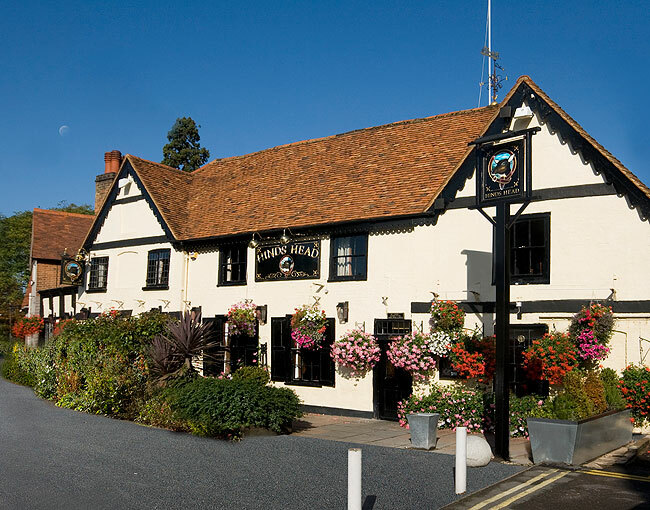 Heston has also recently acquired another pub in Bray, the Crown.